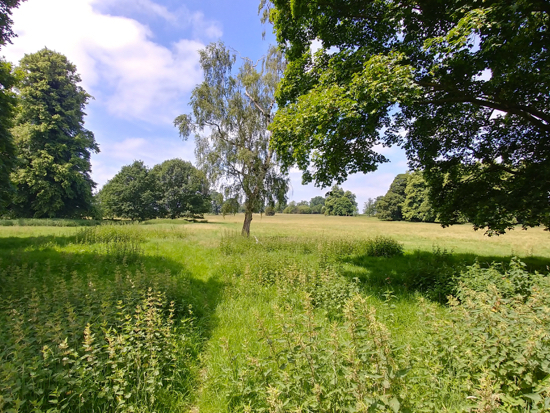 A circular walk from St Mary's Church, North Mymms through North Mymms Park and over to Welham Green via the old Dellsome Lane. Then dropping south over the fields to Water End and back to North Mymms parish church. Park near St Mary's Church North Mymms or on St Mary's Church Road. 1: Walk through the churchyard and past the left side of the church then turn slightly to the right looking out for a path on the left leading north-west down to two gates. Take this path and continue heading north-west. 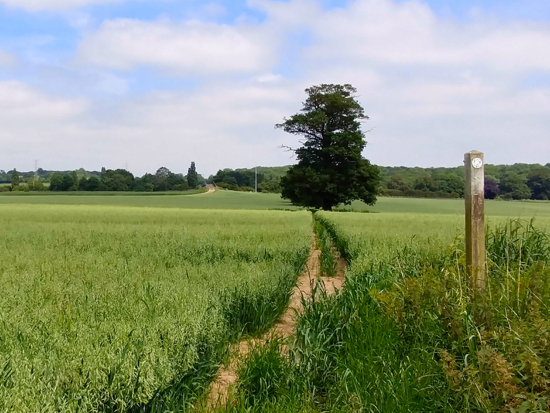 The path crosses the drive into North Mymms Park and enters another field. Cross this field still heading north-west until you reach a wooden footbridge over the River Colne. Continue heading north-west through attractive parkland until you reach Tollgate Road. 2: Cross Tollgate Road and go through the gate on the other side. Here you turn left and walk north-west along a permissive path that follows Tollgate Road until it reaches a footpath heading north-east. Take this path and continue through the fields walking to the left of the line of trees that mark the route. 3: When you reach the A1(M), turn left for a short distance until you reach some wooden steps leading up to a bridge over the A1(M). Cross the bridge and turn left on the other side heading north. After a few minutes you will see a footpath on your right cutting across the crops (marked in orange on the map above). This route can be difficult if the crops are high and it's been raining. If that is the case, continue heading north until you reach a gate leading to Dellsome Lane. 4: Turn right on Dellsome Lane and follow it round to your right and head east and south-east until you reach Welham Green. 5: Continue down Dellsome Lane until you reach Knolles Crescent on your right. Walk round the crescent until you reach Dixons Hill Road where you turn right and head south-west. 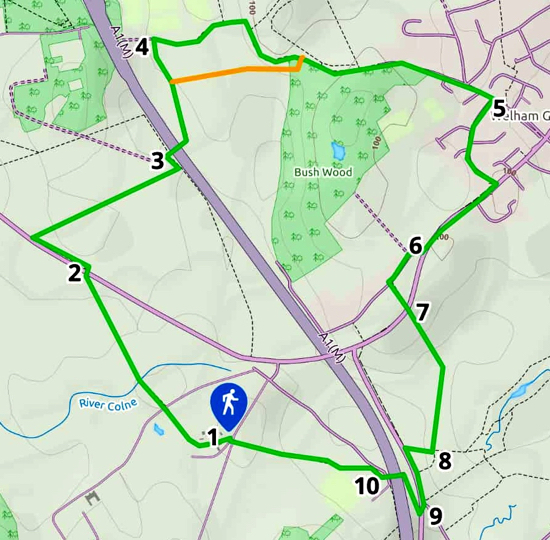 6: When you reach Dixons Hill Close, turn right and follow the road round to the left looking out for a footpath on your left. Take this path to Dixons Hill Road. 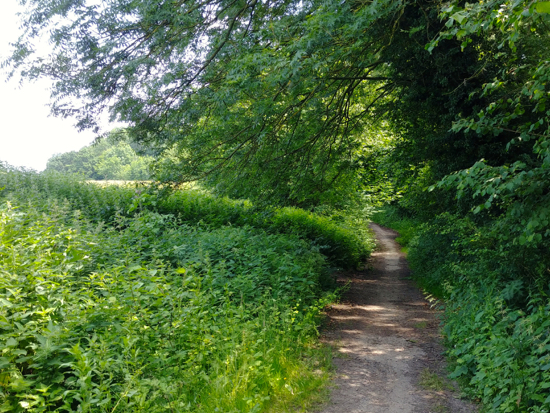 7: When you reach Dixons Hill Road you will see another footpath almost immediately opposite (slightly to your right). 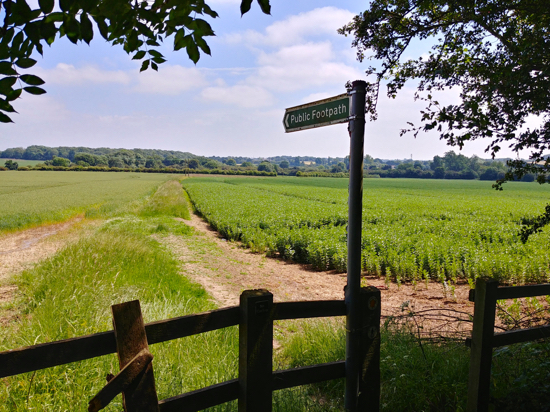 This footpath crosses the fields and heads south-east and then south towards Water End. 8: When you have crossed the fields you will reach a footpath crossing. 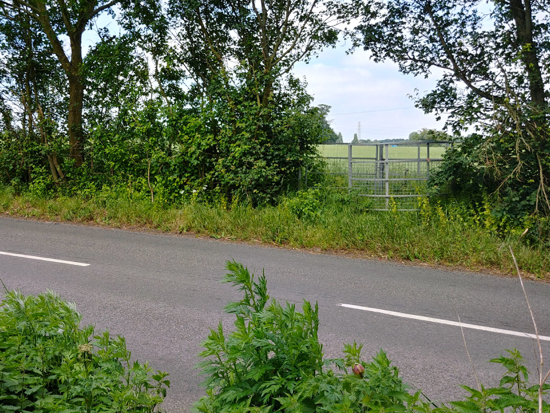 Here you turn right and follow the path west with the hedgerow on your left and the field on your right until you reach the cycle track running along the east side of Swanland Road. Here you turn left. 9: When you reach the top of Warrengate Road, look out for the bridleway sign on the opposite side of Swanland Road. 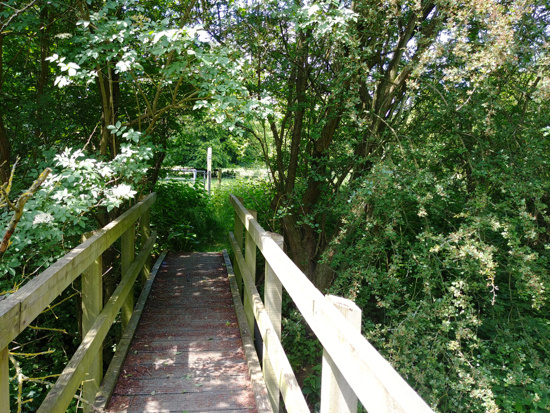 This path leads to the footbridge over the A1(M). Take this path, which heads north then west over the bridge. 10: At the other side of the bridge take the footpath on your left. 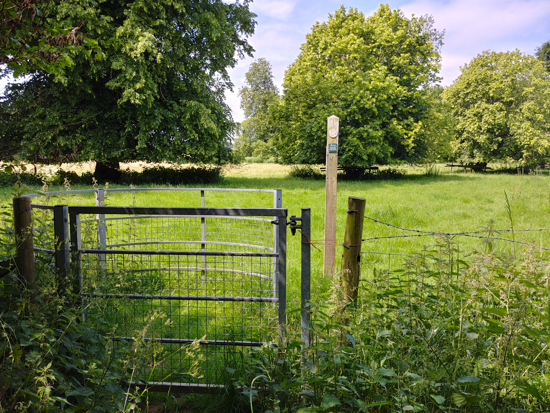 Go through a wooden gate, and then turn diagonally to your right walking east back to St Mary's Church, North Mymms.